Health secretary Matt Hancock has announced a new plan to tackle the threat of antibiotic resistance. The plan, launched at the World Economic Forum at Davos, sets out how the UK will achieve its new 20-year vision for a world in which AMR is contained and controlled. 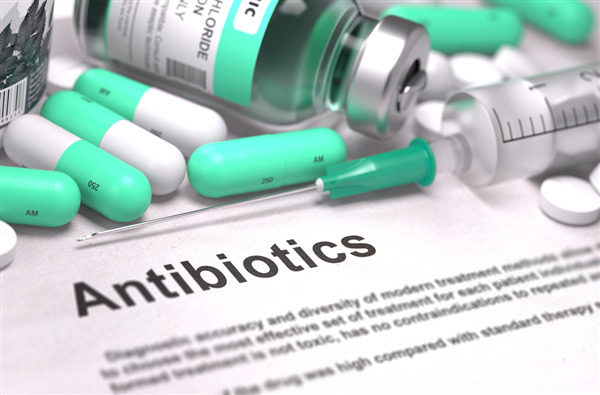 Among its ambitions include a commitment to further reduce the use of antibiotics in food-producing animals by 25 per cent between 2016 and 2020, with objectives to be refreshed by 2021. In a press release, Defra said that responsible antibiotic use in livestock and fish farmed for food remains an important part of the “One Health” approach to tackling antibiotic resistnce. It added that while sales of veterinary antibiotics have fallen to their lowest levels in 25 years, it is important that this progress is consolidated for the future. “Antimicrobial resistance is a global problem. It not only affects human health, but threatens animal health and welfare and food security. Resistance occurs everywhere that bacteria are found: in people, in animals and in the environment,” said environment secretary Michael Gove. UK chief vet Christine Middlemiss added: “Any time an antibiotic is used in any species, bacteria present can develop resistance to that antibiotic. Misuse or unnecessary use risks resistance development with no health benefits. However, when used properly, antibiotics are an important tool to protect and enhance animal health and welfare. “We are working closely with the livestock sector and the veterinary profession and had already reduced by 2017, the sales of veterinary antibiotics by 40 per cent - down to the lowest levels seen since we started these records in the 1990s. The plan also includes world-first target to cut the number of resistant infections, and a target to reduce the use of antibiotics in humansby a further 15 per cent. It also calls on the pharmaceutical industry to take more responsibility for antibiotic resistance. A new payment model will be explored, which could mean that pharmaceutical companies are paid based on how valuable their medicines are to the NHS, rather than just how many are sold. It is hoped that this would encourage companies to develop drugs that will treat high-priority resistant infections. Mr Hancock said: “As health secretary responsible for one of the most advanced healthcare systems in the world, I could not look my children in the eyes unless I knew I was doing all in my power to solve this great threat. When we have time to act. But the urgency is now.